KUCHING: The autonomy over education and health should be handed over to Sarawak since the federal government has failed to perform in these two subject matters. In order to achieve equal status and equal partnership within the Federation of Malaysia, State Legal Counsel Dato Sri JC Fong said Sarawak should take the next step and fight for greater autonomy instead of just seeking to amend Article 1(2) of the Federal Constitution. He pointed out that even Prime Minister Tun Dr Mahathir Mohamd had rightfully said it himself recently that Sarawak and Sabah are not asking for independence but they are asking for greater autonomy. He explained that there are provisions in the constitution that say federal government can transfer executive authority over these subject matters to the state government. According to him again, it is provided under Article 80(5) of the Constitution that executive authority can transferred to the state with the federal government providing the funds. “There all these provisions that are in place. We have to do better. “We are in a situation where we are not well served by the federal government. We are in the position to demand for greater autonomy. We must have greater autonomy in order to look after ourselves. “Because if we don’t have that level of autonomy especially over crucial subject matter not only education and health but also tourism, welfare services and all that, we are not able as state government to serve our people. And our people deserve better service,” he said. Fong made these remarks when presenting his talk entitled Equal Status or Partnership for Sabah and Sarawak within the Federation of Malaysia, during the Sarawak Rights Under Malaysia Agreement 1963 forum last night (Dec 7). 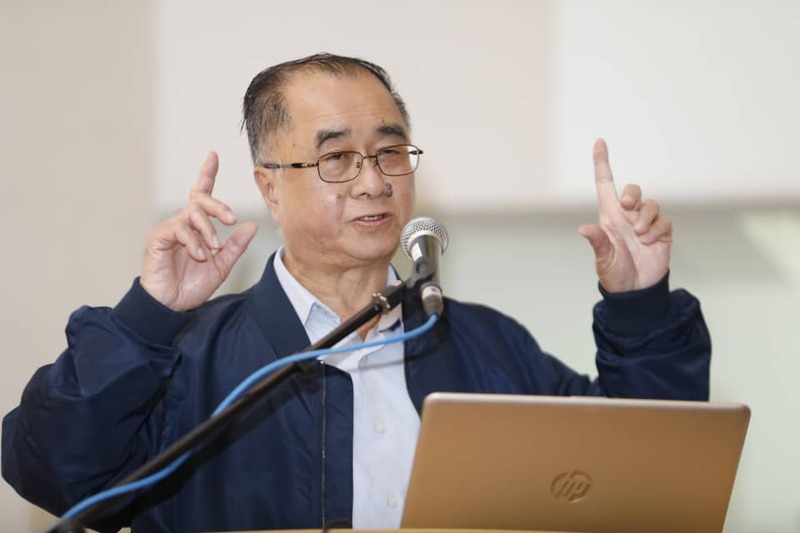 The forum organised by Sarawak Patriots Association was held at the Islamic Information Centre hall, and it was officiated by Local Government and Housing Minister Datuk Dr Sim Kui Hian. Fong also said equal status and equal partnership for Sarawak within the Federation of Malaysia cannot be remedied by just amending Article 1(2) of the Federal Constitution. He explained that just amending the Article 1(2) would be like just making cosmetic changes to the Constitution if there are still restrictions that stifle both Sarawak and Sabah. “How can equal status be remedied just by making changes to Article 1(2)? Yes, changes should be made but it must be coupled with our insistence on proper financial review, we must get all money we are entitled to, we must recover our rights and revenue for the oil and gas which are our key natural resources. “We must get rid of all these restrictions that stifle us. They say they want us to be equal how can we be equal. I hope the minister of law is listening, and that he would think of the bigger picture than just some cosmetic adjustments,” he said. Fong was referring to a statement made by Minister in the Prime Minister’s Department Datuk Liew Vui Keong that the government will amend Article 1(2) of the Federal Constitution to restore the status of Sabah and Sarawak as equal partners with Peninsular Malaysia. An amendment to Article 1(2) in 1976 had downgraded Sabah and Sarawak to the 12th and 13th states in Malaysia.